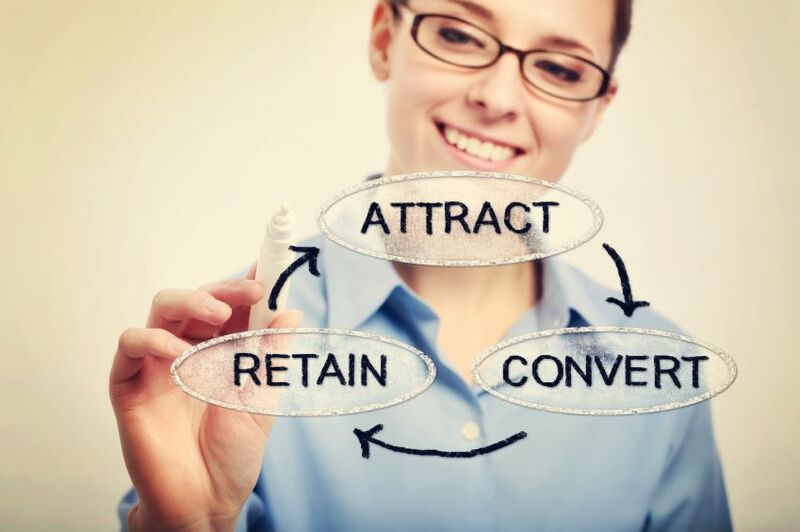 Attracting new customers is an important part of maintaining your company, but repeat customers are the key to long-term business success and profitability. Apply the following concepts and techniques to your customer retention strategy and you’ll see more familiar faces coming back for repeat purchases. Young business woman drawing a business strategy. Establish a customer retention program: Industry experts estimate it costs five to seven times more to acquire a customer than to keep one. Other sources suggest that even a small increase in customer retention can nearly double profits. To respond to these factors, you must establish a customer retention program that specifically focuses on serving existing customers and encouraging them to buy again. Understand what your customers want: A critical component of retaining customers is to understand what they want and how your products and services can best help them solve their problems. Talk to your customers and learn what issues they face in their own personal and professional lives. Customer satisfaction surveys sent by a reputable third party research firm will provide valuable feedback. The most important thing is sending them consistently to every customer. When you understand these things, you’ll be better able to position your offerings as the solution. Use social media: Social media platforms, such as Facebook and Twitter, have become an integral part of day-to-day life, so it makes sense for you to engage with your customers in this space. Use social media to communicate with your customers. Offer special deals, such as discounts or coupons, for customers who follow your pages. Provide a social media presence where customers can talk to you and to fellow customers. Stay relevant: Remember what your existing customers bought from you and why they sought it out. When engaging with existing customers, don’t stray from those initial reasons when creating offers, deals, and promotions. Anticipate when your customers might need your offerings again and create promotions that remind them how you helped them in the past. Cross-sell products and services that complement or augment their original purchases. 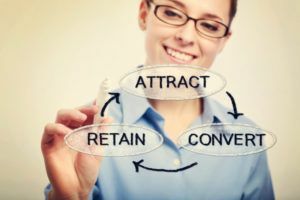 What else can you add to your customer retention strategy to keep your customers happy, satisfied, and coming back for more?